Mr. Whiteman is a prominent real estate and probate attorney in St. Augustine, Ponte Vedra, and Northeast Florida, where he has devoted his practice for over 35 years. For decades, Mr. Whiteman’s practice has included real estate transactions, real estate litigation, construction lien law, complex commercial transactions, title closings, contract law, residential and commercial lease agreements, real estate lending, lease disputes, landlord and tenant litigation, quiet title actions, business sale transactions, probate matters, and wills and trusts. Over the years, Mr. Whiteman has represented St. Augustine and Ponte Vedra, Florida, clients in some of the most complex real estate transactions and property disputes and taken on some of the most challenging probate administration cases. His knowledge and experience is unsurpassed in the St. Augustine area and gives Mr. Whiteman the ability to render comprehensive advice to clients on a cost-effective basis. No matter how simple or complex the transaction, Mr. Whiteman’s knowledge and straightforward style gets results that match client expectations. Mr. Whiteman began his legal career in the Judge Advocate General’s Corps of the U.S. Naval Reserve in 1975. Three years later he moved to the Office of the State Attorney for the Fourth Judicial Circuit and later joined the Office of the State Attorney for the Seventh Judicial Circuit, where he eventually became the attorney in charge with an office located in St. Augustine, Florida. In 1985, Mr. Whiteman began private practice in St. Augustine, Florida, co-founding the law firm of McClure & Whiteman with his law school roommate, George McClure. Eleven years later, he joined Rogers Towers as a shareholder, opening its first St. Augustine office. 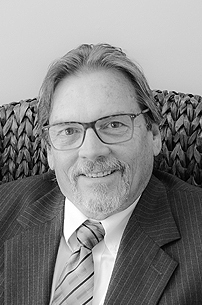 In 2009, Mr. Whiteman joined St. Johns Law Group, continuing his focus on property and probate law.